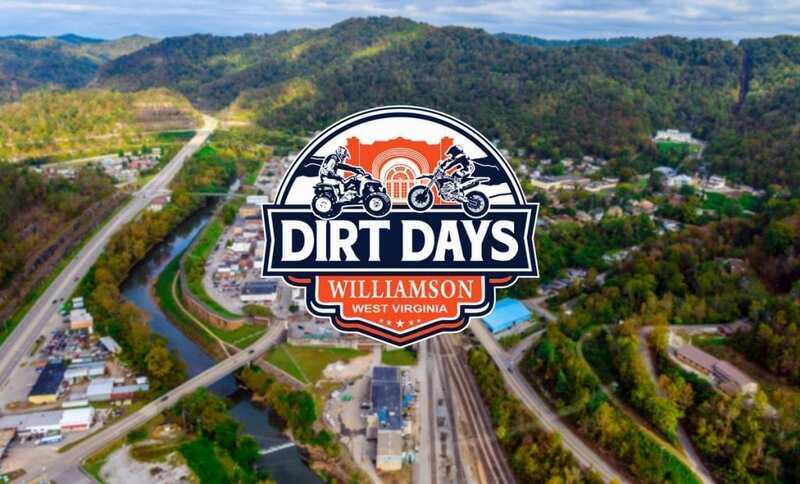 More than 300 miles of trail extend into the mountains from Williamson, West Virginia, host of this weekend’s inaugural Dirt Day Festival, which proponents expect to become one of the nation’s chief off-road extravaganzas. Sponsored by the Tug Valley Area Convention and Visitor Bureau, the April 26-28 festival aims to showcase some of the best ATV, side-by-side, and dirt bike trails in North America, according to Wes Wilson, executive director for the bureau. Wilson is encouraging businesses in the Tug Valley to showcase their hospitality with regard to off-road travel. Since the first state-sanctioned ATV trails opened in the region, Williamson has become a focus for off-road adventures, and the valley residents have become known for their warmth and neighborliness. “This is a great opportunity for our community to show just how ‘trail-rider friendly’ we are now and that the culture is evolving,” Wilson said. Three trail systems—all part of the massive Hatfield-McCoy Trails system—connect at Williamson and extend into the mountains of southwestern West Virginia. Wilson says visitors who plan to ride their off-road machines at Dirt Days are encouraged to pre-register for the event online at Eventbrite.com. Pre-registration will provide participants a weekend trail pass and an event arm band necessary to gain motorized entry to the mud pit. Other pre-registration perks include three $5 food vouchers, an official Dirt Days t-shirt, an official Dirt Days decal, and official Hatfield-McCoys Trails map, a full sponsorship list, an event brochure, and various goodies from event sponsors. Vehicle registration is $50 per person. The Tug Valley Area Convention & Visitor’s Bureau promotes local events that take place in Mingo County, West Virginia and neighboring areas of Pike County, Kentucky. All-Day (Dawn-to-Dusk): Hatfield-McCoy Trails are OPEN for Riders. More than 300 miles of trail! All-Day (Dawn-to-Dusk): Hatfield McCoy Trails are OPEN for Riders. More than 300 miles of trail!